Things You Need To Know About Getting Rid Of Belly Fat. One of my girlfriends is always complaining about her belly fat. She’s not overweight, but her fat does seem to only accumulate around her hips and stomach. She’s tried pretty much every diet you can think of, but the end result is the same. She’ll lose a few pounds, lose interest, and gain it back. She didn’t truly understand how to eliminate her belly fat until she tried these ten tips and tricks. First, let us differentiate between the two types of fat you will find around your belly. Subcutaneous and visceral. Subcutaneous is external. It’s the typical type of fat that you can grab with your hands or pinch between your fingers. Visceral fat, is internal and is stored around the inside of some of your organs like your liver, kidneys, intestines, and pancreas. Measuring the amount of fat you have in your body will make you feel one of the following three things; Surprise, delight, or disgust. I think you know which follows every result. Doctors suggest that our bodies are designed to store belly fat in response to eating sugar, which allowed the body to survive the winter … back in the days. But in times of abundant food, this ancient make-up of fat stores misfires and stores fat despite the lack of famine. The key is to reverse the hormonal misfires, and eliminate cravings and resting fat. Keep in mind that not all calories are the same. While it’s true that calories from some foods make you store belly fat, others make you store muscles and burn fat. However, hormones matter more. In particular, reducing belly fat involves the reset of the belly fat hormones insulin, leptin, cortisol, growth hormone and adiponectin. 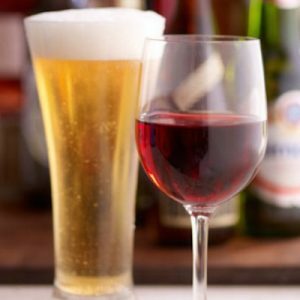 I know, I know it’s sad, but in reality liquid calories from beer, wine, mixed-drinks and basically any alcohol contribute to belly fat percentages. This is why sometimes belly fat is also known as “beer belly”. An increase in stress means an increase in your cortisol levels. When you’re stressed, your cortisol level will break down muscle and store fat. What works best is a daily practice of 30 minutes to reset stress levels in the body. Try listening to a guided meditation, get a massage, or walk your dog around the block. Figure out what works for you and do it as often as you can! Your body needs 7-8.5 hours of uninterrupted sleep—at the right time—to burn visceral fat. Sleep keeps cortisol levels and insulin levels in check. It couldn’t be easier to burn fat! Get yourself tucked under those covers. Don’t worry, I’m not suggesting you go on an intensive or lengthy fast … no, what I am suggesting is intermittent fasting. It restricts your calorie intake and reduces visceral fat. It is recommended that men fast for 18 hours and women 16. Do this a couple times a week for the best results. 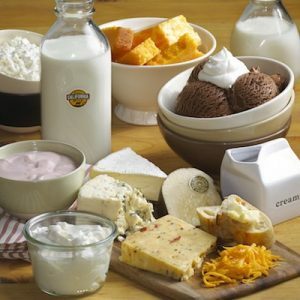 You probably already know someone who follows a gluten-free or dairy-free diet. Well, it’s not just a fad. And they’re not doing it just to be more hipster and trendy. Research suggests that going gluten-free can reduce fat, inflammation, and insulin resistance. Food intolerances tend to raise stress hormones, such as cortisol, trigger inflammation, and over-activate the immune system. Some people may not like to hear this, but frequent long distance running increases oxidative stress and inflammation in the body. Running raises cortisol levels to almost three times the normal amount. Burst training or interval training is highly recommended by many athletic trainers as the most effective way to lose weight and burn fat. Try exercising at high intensity for 30-75 second bursts, separated by 2-3 minutes of recovery time. Be aware of how much protein you are consuming, and make sure it is anti-inflammatory. Try not to supplement healthy proteins with carbs. Over-eating carbs is one of the main contributors to weight gain in today’s society. Quality protein: Lentils, legumes, wild caught seafood; salmon, cod, steel-head trout, and wild meats like; elk, bison, grass fed beef. 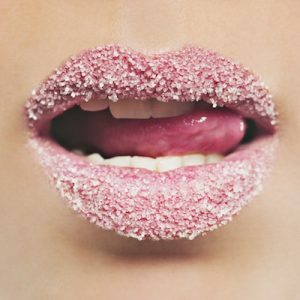 Sugar consumption hurts your metabolic system. It goes straight to your liver, makes fat, and triggers insulin and leptin resistance. Sugar tastes good but doesn’t tell your brain that you are satisfied, so you still feel hungry and keep eating. The result is inflammation, a stressed out liver, and visceral fat. Read about sugar overload and the early warning signs. Adiponectin is part of a secret conversation between your fat cells and your brain. When levels are low, adiponectin can make you store fat. The more adiponectin you have in your blood, the more fat you burn. To raise adiponectin, eat pistachios and pumpkin seeds, get 35 to 50 grams of fiber per day, and consider eating magnesium-rich foods or taking a magnesium supplement. Confused? Don’t worry, I shall explain. Eating excess sugar contributes to the fat in your liver, among other problems. 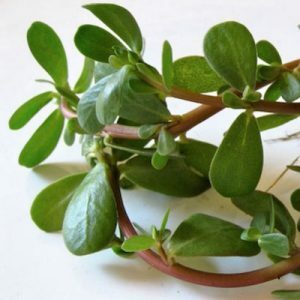 Purslane offers the richest source of omega-3 and melatonin that you can obtain from a green vegetable. Some people call it a super food, or a weed worth eating, because its nutrient density strengthens connections in your brain, and enhances memory and learning. You can grow it, or buy it at your local farmer’s market, next to the sorrel and nettles. Add it to your salads for a quick purslane boost.